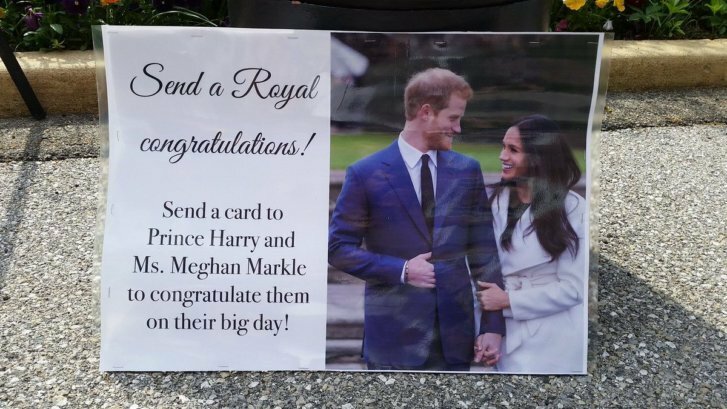 At D.C.'s British embassy on Saturday, visitors wrote notes of congratulations to Prince Harry and Meghan Markle. The couple will soon receive those well wishes at Kensington Palace. See photos of the embassy's event. WASHINGTON — The excitement is continuing to grow for the British Royal Wedding set for next Saturday. Prince Harry will marry American actress Meghan Markle and the couple will be getting some special well wishes from residents in the D.C. area. The British Embassy in D.C. hosted its annual EU Open House Day on Saturday–the one day a year the embassy is open to the public. Can’t make it to London for Prince Harry and Meghan Markle’s wedding festivities? 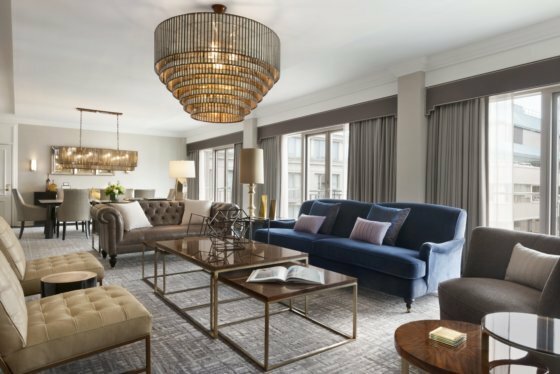 One D.C. hotel wants to give you the royal treatment. Visitors got the chance to write notes of congratulations to the royal couple. Sir Kim Darroch, British Ambassador to the U.S. said the notes will be delivered to Kensington Palace at the end of the day. The line to get into the embassy for the open house was much longer than in years past. ”I’ve never seen lines quite like this,” said Darroch, who said it was his third year in attendance. Darroch said that before he came to the U.S., people would tell him how enthusiastic Americans were about the British Royal family. “You have to be here to quite feel the level of enthusiasm,” he said. Norma Valentini from Germantown, Maryland, said she has always wanted to see the British Embassy, but she made sure to make it to the open house this year in light of the upcoming wedding. Theresa Rodriguez from Northwest D.C. also came to the embassy because of the upcoming wedding. With British royalty marrying an American this year, Darroch said millions of people will be tuning in to the wedding on TV. So where does a royal couple go for their honeymoon?